Tammy and Jason were one of our first client relationships that we developed as a new business this year. And they were so trusting of us and such a fun couple. 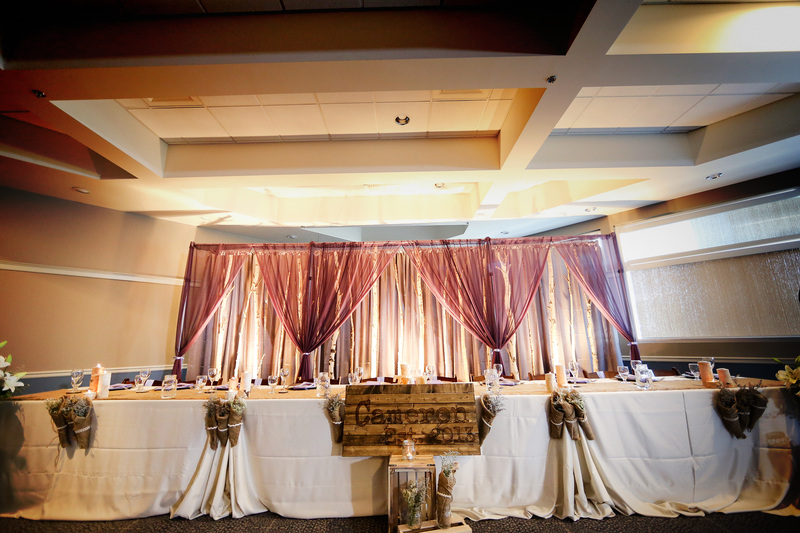 They chose the Dow Centre in Fort Saskatchewan as their venue, as it was close to home for them. It was nice nuetral space to work with and easily held their 250 guests. We had a blast decorating this wedding because, as you can tell, their style matches our nature inspired creativity. 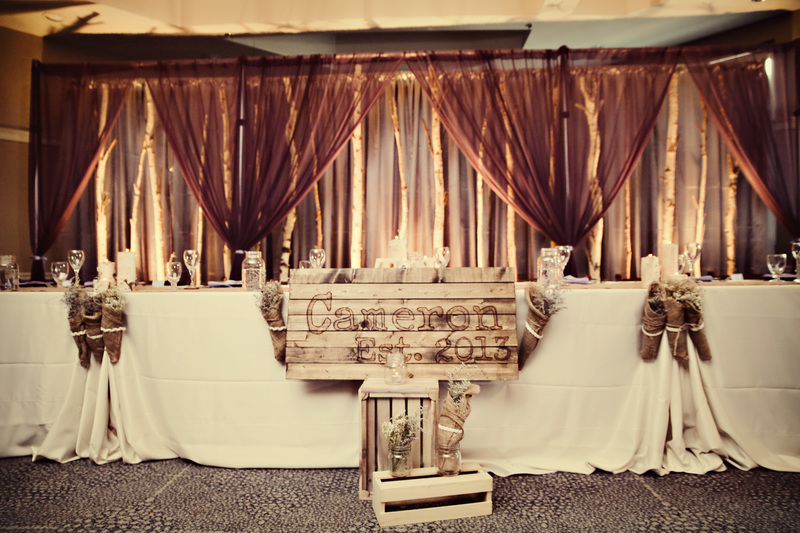 Tammy and Jason’s head table with our rustic birch tree backdrop. 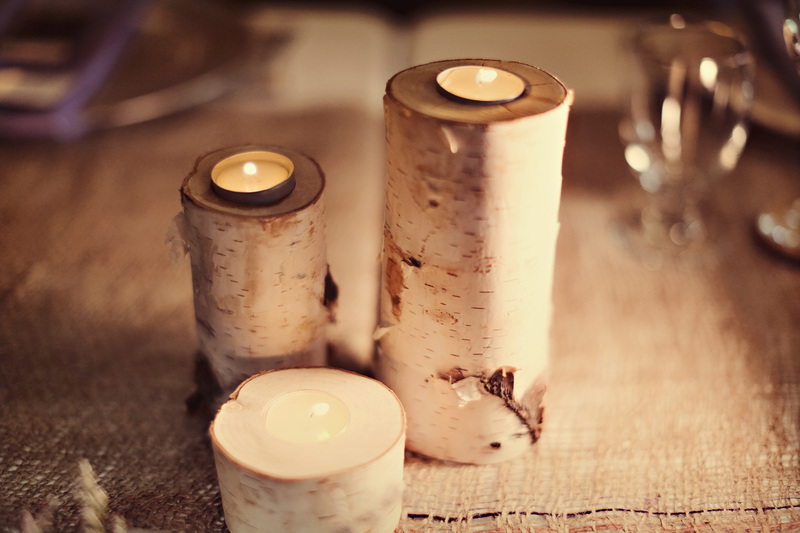 Birch tree candle holders added some light to the tablescape at the head table. 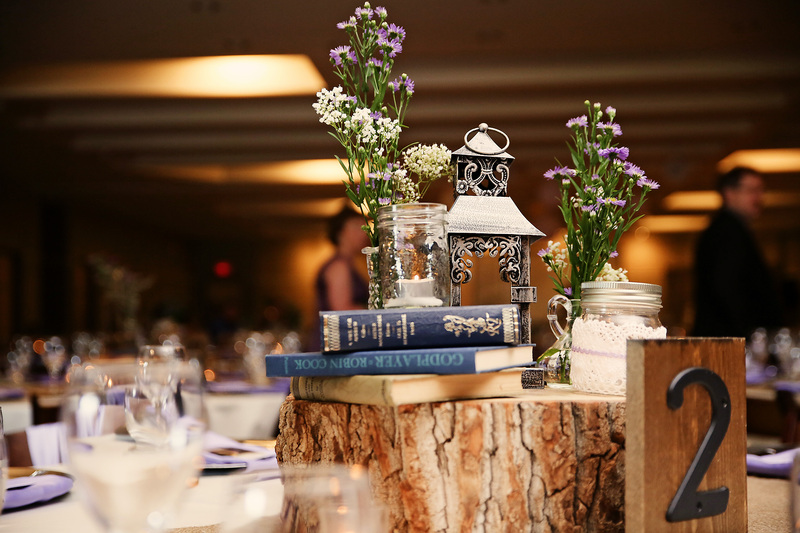 Pretty lanterns, summer flowers, and books give the guests tables colour, warmth and an antiquey vibe. 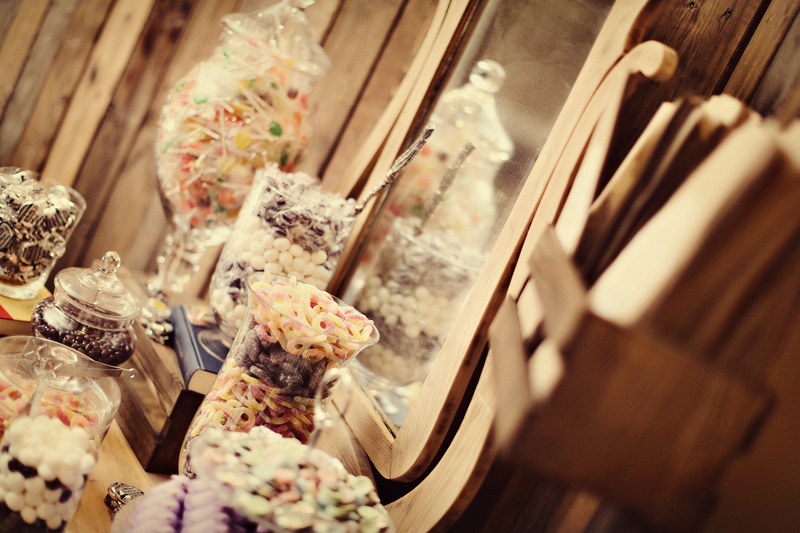 The candy buffet sat on our antique vanity dresser framed by our 10′ x 10′ barnwood backdrop. 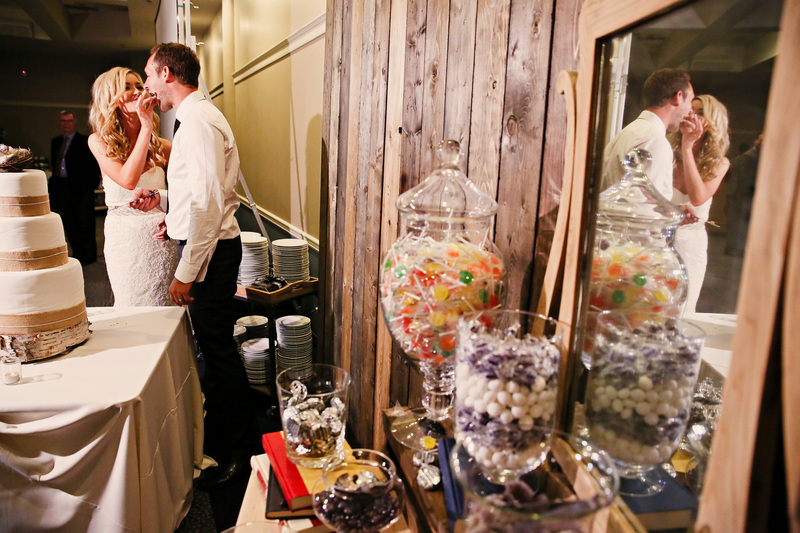 We set our barnwood wall up to use as a background not only for the candy buffet but for the cake as well. A backdrop makes for nice photos of the bride groom during their cake moment. Another peek at our unique birch tree backdrop.